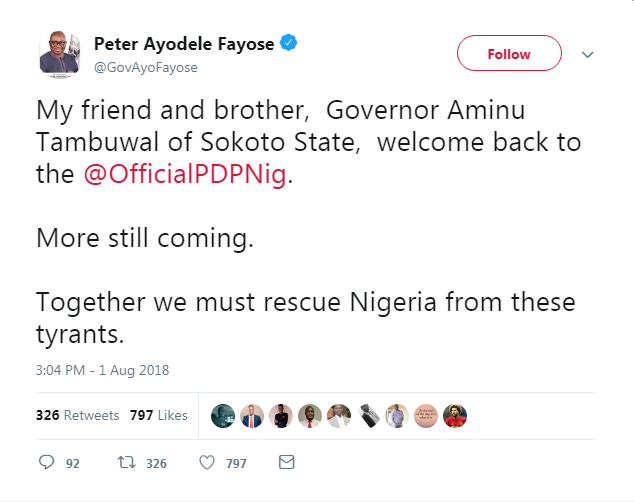 Ekiti State Governor, Ayodele Fayose and Former Aviation Minister, Femi fani Kayode have reacted to the defection of Governor Aminu Tambuwal of Sokoto State from APC to PDP. My friend and brother, Governor Aminu Tambuwal of Sokoto State, welcome back to the @OfficialPDPNig. Together we must rescue Nigeria from these tyrants. Glad that my friend and brother, Gov. 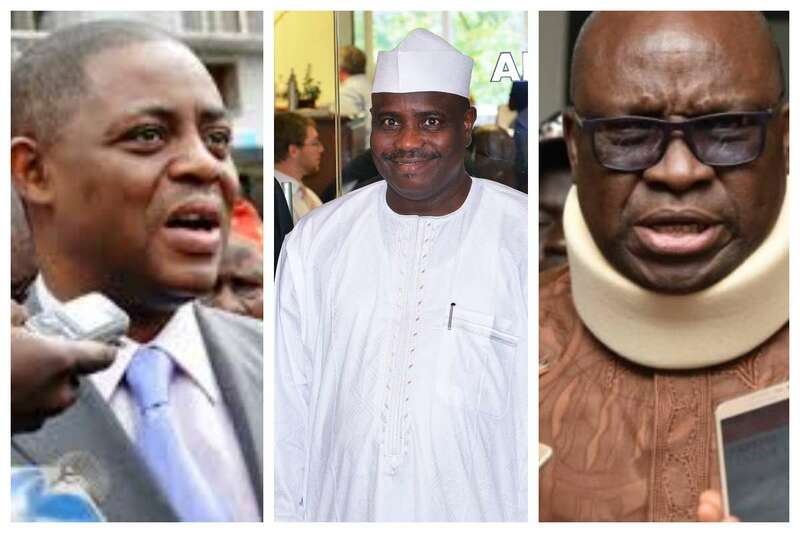 Aminu Tambuwal, has left the Association of Pedophiles and Coprophiliacs (APC) and returned to the land of the living. He is a young, strong, vibrant, pragmatic,dynamic and inspiring leader who has much to offer. We are blessed to have him back!